With Kiernan Shipka in the lead role as Sabrina, we are introduced a completely new Aunt Zelda and Hilda, as well as Ross Lynch playing Sabrina’s adorable boyfriend. Also, we are introduced to some new characters, including Ambrose, Sabrina’s spunky cousin who is stuck in house arrest. In the 90’s sitcom, Salem was a talking, sarcastic witch stuck in the body of cat as punishment for his past crimes. A puppet was used in the show to bring Salem to life, but in the new series, he is a living, breathing kitty. It is explained that he serves as Sabrina’s familiar, a goblin taking the form of an animal to serve witches. CAOS will stay more closely in line with the comic series, so expect plenty of blood, scares, and mystical creatures. In the sitcom, Sabrina was unaware of her witch powers until her 16th birthday, and has a tough time accepting that they’re real when she does. In the new series, she is already aware of her identity as a half-witch and the fact that she will be forced to sign herself over to the Dark Lord on her 16th birthday. In the original series, Sabrina and Harvey’s relationship evolves from friends to boyfriend and girlfriend over multiple seasons. In CAOS, their relationship is already well established, apart from the fact Harvey doesn’t know she’s a witch. In the first episode of CAOS, we learn that Sabrina’s parents passed away years ago in a tragic accident. In Sabrina the Teenage Witch, both of her parents are still alive, but away traveling. 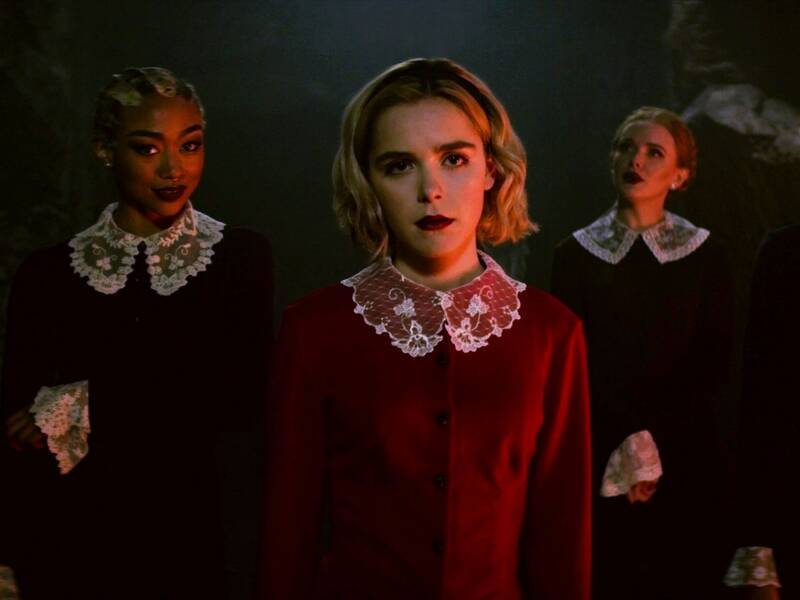 Whether you love the sitcom series or are interested in throwing yourself into this dark new world of Sabrina Spellman, it is a Netflix series that is definitely worth a watch.